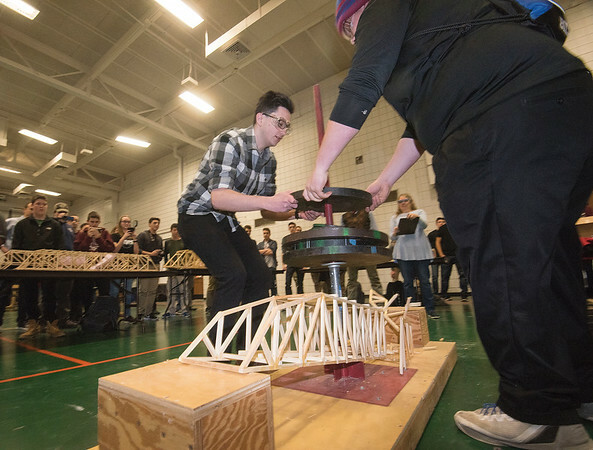 Sanborn, NY - Tonawanda High School students John Jarnot and Colton Simonds were able to put 140 lbs of weight on a balsa wood bridge they built before it collapsed. The bridge only weighed 2.22 lbs. The Western New York Technology Education Association held NCCC Tech Wars 2018 competition at Niagara County Community College.